pumpkin puffs portray perfection put plainly. 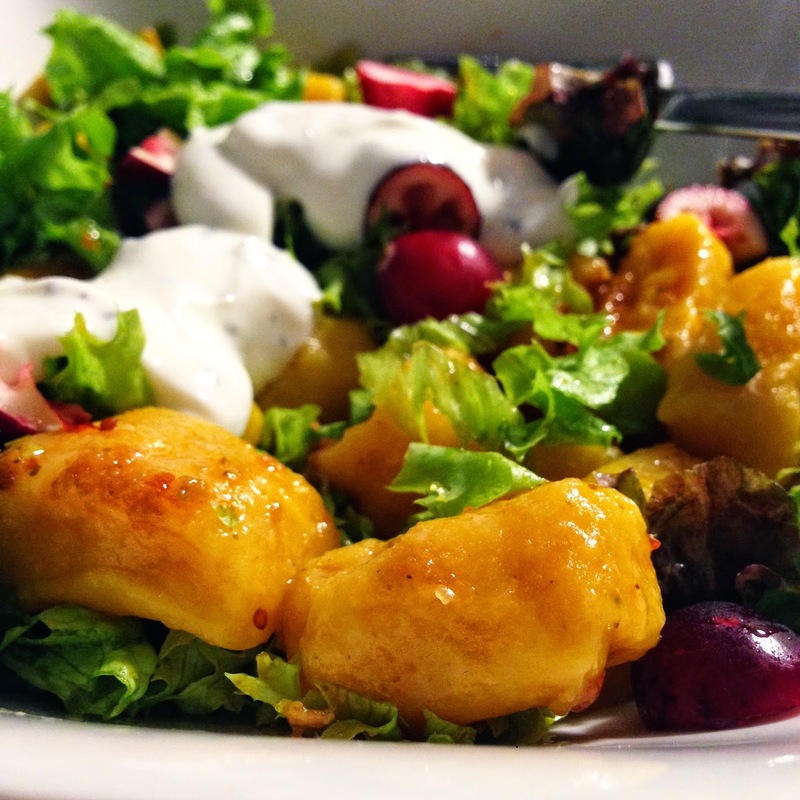 these gnocchi have waited long enough for you now. it's time they make their appearance! i guess this recipe could have been published for christmas. or at least for thanksgiving. it has that sort of holiday-ish appeal. but sometimes life gets in the way - i know, non-sense, right?! - and some things have to be put on hold. does that make them less worthy? no, not at all. especially when it comes to such gorgeously orange coloured soft puffs - which you will want to try right away. these were made on the first of december and inspiration for it came from a random picture found on my facebook feed, posted by a german food blogger. i don't even remeber where exactly did it come from, but from that moment on i knew i would be whipping up pumpkin gnocchi someday soon. You can boil them for a couple of minutes or give them a quick fry over a hot pan with olive oil. 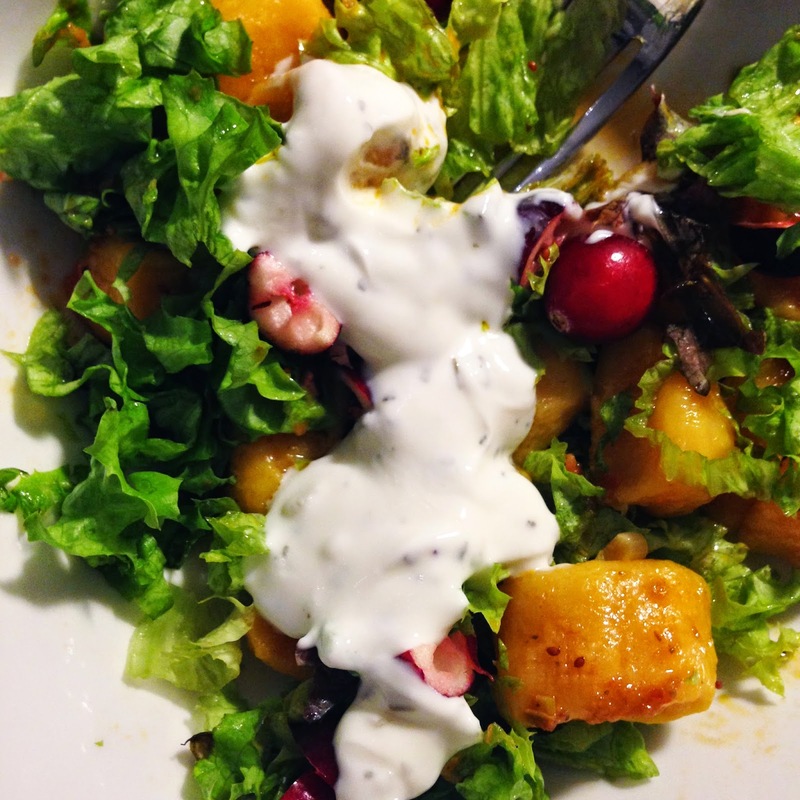 I decided to flavour mine with red pesto - it is quite delicious, and you can stir-fry them over pesto too - and then throw them in a sort of salad, with crispy lettuce and sour fresh cranberries, topped with a white quark sauce for some protein and contrast. I imagine they will also go wonderfully on a hot creamy white sauce, maybe a peppery cheese sauce, or one with mushrooms - totally up to you to get creative with it! Despite what you may think, they are not complicated to make, and I leave you some 'step-by-step' pictures of my own experience to show you just how easy they are! Plus they look so gorgeous, these little puffs with this almost golden colour. 6) Transferir para uma taça, deixar arrefecer ligeiramente, juntar a salada e misturar; finalizar com os cranberries e um pouco de molho de iogurte. 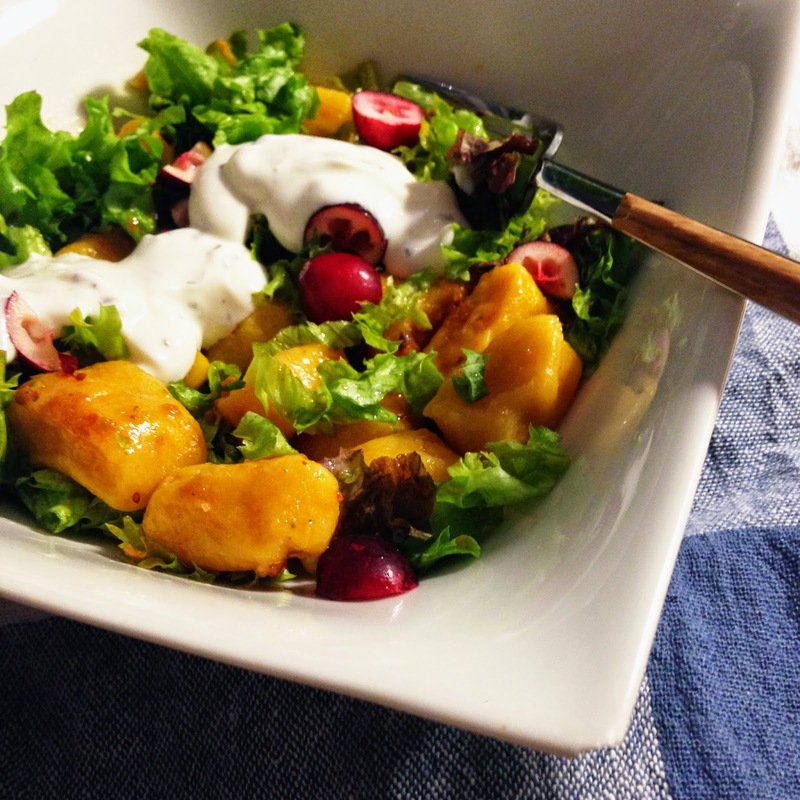 6) Transfer to a bowl, let cool slightly and mix in the lettuce; garnish with the cranberries and a bit of yogurt sauce. Uma salada cheia de cores e bem sedutora :) adoro gnocchis e de abóbora são deliciosos. Acho que é uma salada perfeita para estes dias de Inverno.